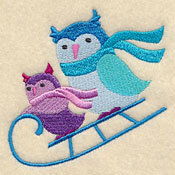 Take a walk through a winter wonderland with this week's new embroidery designs! 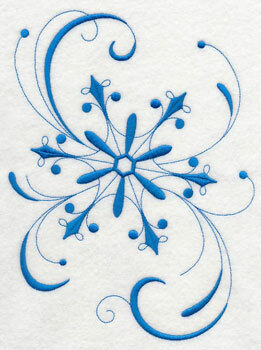 Each of the new designs celebrate the beauty and wonder of winter! 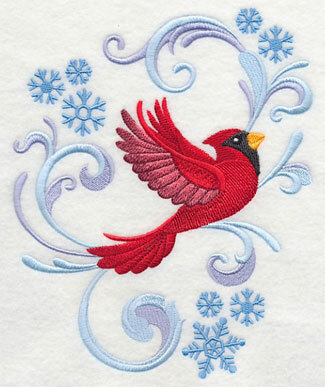 Gorgeous snowflakes, Intricate Ink designs, and Battenburg lace give an elegant look to any project, while winter birds, colorful collages, and sweet sayings add frosty fun. 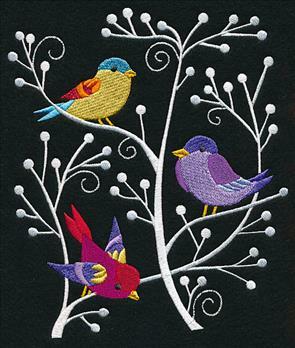 Gorgeous whitework branches and colorful birds add a contemporary look to your embroidery projects. 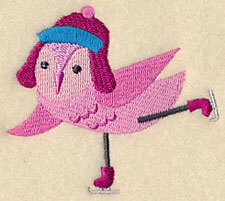 Bright and colorful birds perch atop icy winter tree boughs in these new designs. 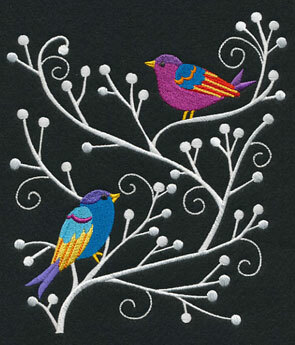 The contrast between the brilliant birds and white branches makes a striking combination. 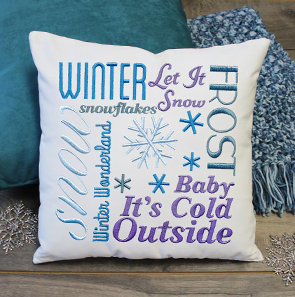 6.41" x 7.27" and 5.83" x 6.61" and 4.83" x 5.48"
Stitch the whimsical wintery scenes on pillows, tote bags, wall hangings, and more for a colorful alternative to classic blue and white winter designs. 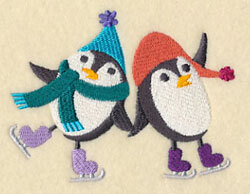 Pick your favorite to stitch alone, or use all three designs for a matching set! 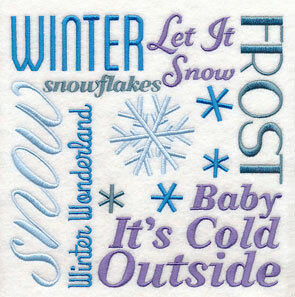 6.34" x 7.30" and 5.77" x 6.64" and 4.79" x 5.51"
Winter sayings and song lyrics are a cute and clever way to decorate your home for the coldest season of the year. 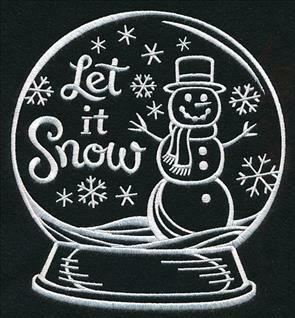 Snowflakes and swirls adorn a "Baby it's Cold Outside" design; a snowman in a snow globe makes this "Let it Snow" motif a sweet addition to any project. 6.90" x 8.72" and 6.17" x 7.80"
5.55" x 7.02" and 4.85" x 6.13"
7.18" x 7.80" and 6.40" x 6.96"
5.85" x 6.36" and 4.85" x 5.27"
These designs have been created in a classic chalkboard style, and are extremely popular in today's crafting world. 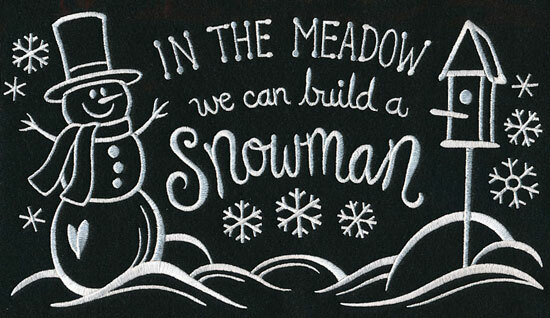 Stitch the spectacular snowy designs on dark fabric to keep the chalkboard look, or use different thread colors and fabrics to match your seasonal or home decorating style. 11.75" x 6.58" and 9.41" x 5.27" and 7.81" x 4.38" and 6.86" x 3.85" and 3.86" x 2.17"
Classic motifs made up of snowflakes are an unexpected way to add wintery style to your embroidery projects. 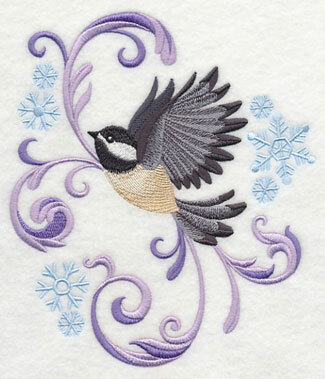 We stitched these designs in various shades of frosty blues and purples to mimic the natural color palette of winter. 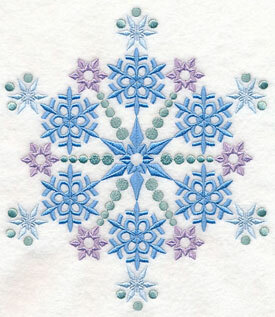 6.84" x 7.81" and 6.40" x 7.30"
7.80" x 7.33" and 7.21" x 6.77"
6.23" x 5.85" and 5.17" x 4.85"
Because these snowflake designs feature open areas where the fabric shows through, they're particularly stunning on light fabrics, such as tea towels. 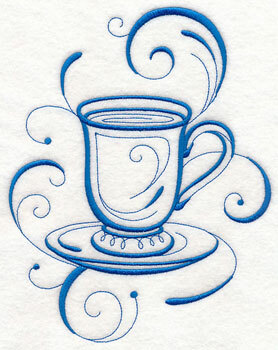 Tea towels are fabulous ways to showcase your embroidery. 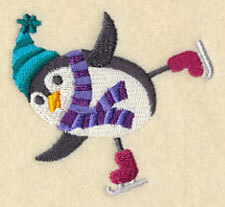 See tips and tricks to guarantee excellent results with this Fabrics 101 article. 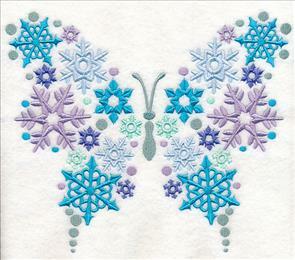 A heart and a butterfly add a whimsical, unexpected look to winter projects. 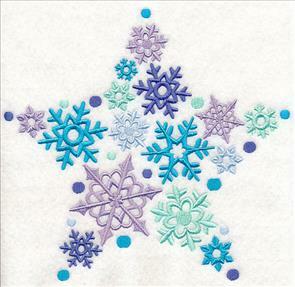 Stitch the stunning snowflake designs on apparel, purses and tote bags, or even on a placemat! 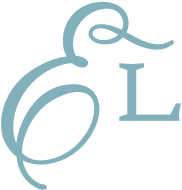 7.81" x 7.19" and 7.03" x 6.47"
8.26" x 6.89" and 7.42" x 6.20"
6.71" x 5.60" and 5.82" x 4.85"
Add color and character to pillows, tote bags, and quilts squares with this design. 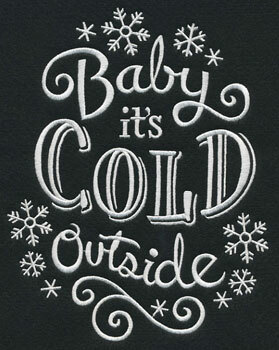 A variety of words and sayings add the spirit of the winter season to any project! This square-shaped design is the perfect way to update a blank pillow for winter. 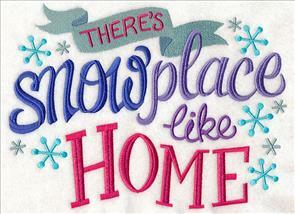 7.77" x 7.80" and 6.90" x 6.92"
A flurry of snowflakes shows that there's "snowplace" like home; a long, cozy scarf adorns a "Hello Winter" design. 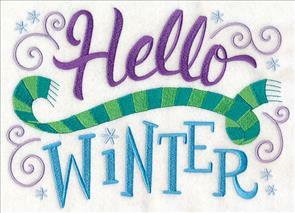 Stitch these colorful winter sayings on scarves, the backs of fleece vests, or a warm blanket! 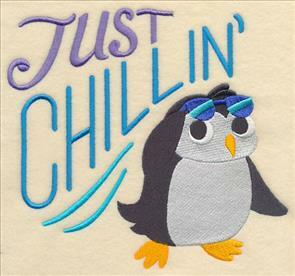 9.68" x 6.90" and 7.80" x 5.55" and 6.88" x 4.89"
This adorable penguin is "Just Chillin'" with his shades in the winter. 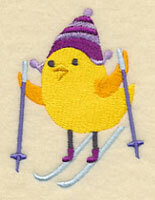 A too-cute embroidery addition to kids' gear, pillows, or apparel. 7.53" x 6.90" and 6.40" x 5.86" and 5.29" x 4.84"
You know what they say, each snowflake is unique -- no two can be the same. 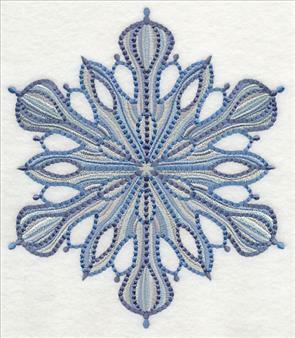 These delicate snowflake designs keep that in mind with their stunning use of details, colors, and texture. 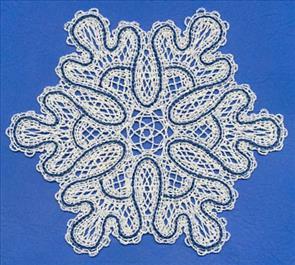 Intricate stitches and detailed shapes give the snowflakes an elegant and unique look. 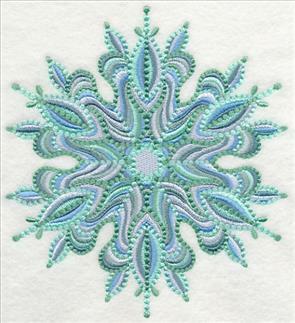 6.90" x 7.52" and 5.86" x 6.38" and 4.88" x 5.32"
Varying types of stitches and shapes give these snowflakes a dramatic, yet graceful look. 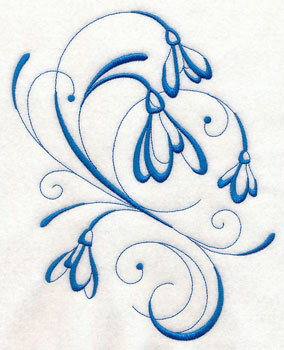 Stitch the exquisite embroidery designs on towels, pillows, and table runners. 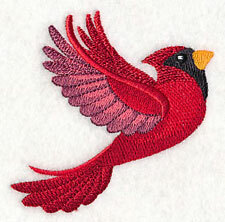 6.78" x 7.79" and 5.81" x 6.68" and 4.85" x 5.58"
A brilliant red cardinal flutters by in a frosty burst of wind in this gorgeous design. 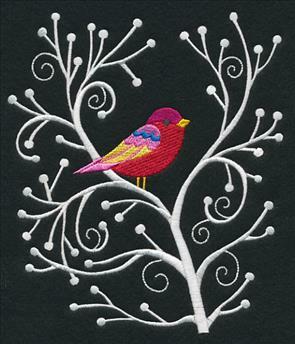 Each of these beautiful birds come in two versions: with, and without their snowy accents. 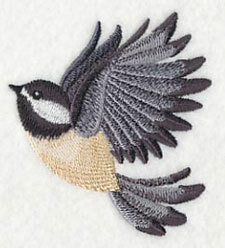 3.41" x 3.45" and 2.83" x 2.86"
Here, a lovely chickadee soars through the sky on a snowy day. 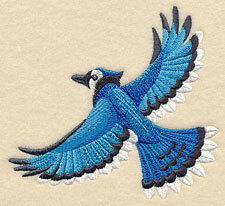 Stitch the elegant winter bird on pillows, wall hangings, or use as a series of wall hangings. 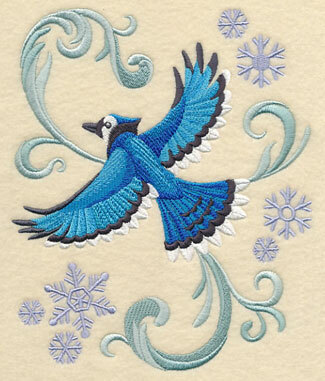 3.04" x 3.38" and 2.52" x 2.81"
A beautiful blue jay is surrounded by snowflakes and frosty flourishes in this winter wonderland design. 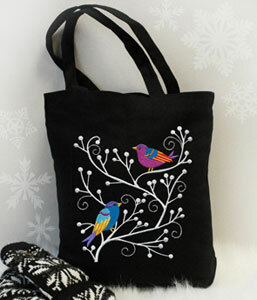 These gorgeous winter bird designs are terrific as a focal point on tote bags, and pillow covers, too. 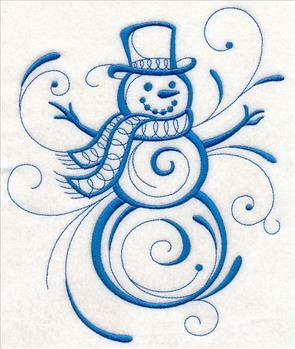 4.64" x 4.27" and 3.83" x 3.52"
Add a graceful, contemporary style to your winter stitching with new frosty Intricate Ink designs! They're a gorgeous addition to our growing collection of inky designs, and are stunning additions to a wide variety of winter projects. 6.85" x 8.25" and 6.35" x 7.65"
5.85" x 7.04" and 4.85" x 5.84"
6.85" x 9.06" and 5.90" x 7.80"
5.36" x 7.09" and 4.85" x 6.41"
Each of these inky winter wonderland motifs feature a variety of long, elegant strokes for a variety of texture and depth. 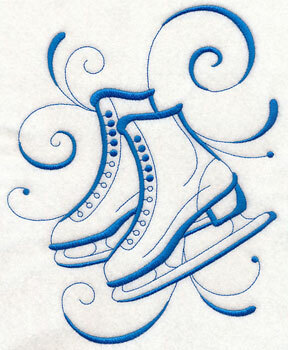 Here a pair of ice skates and a cup of cocoa are waiting to adorn tea towels, tote bags, winter wear, and more. 6.85" x 8.62" and 6.21" x 7.82"
5.81" x 7.31" and 4.86" x 6.11"
6.85" x 8.74" and 6.12" x 7.81"
5.73" x 7.31" and 4.85" x 6.18"
Because the Intricate Ink designs are light, with open areas showing through, they're best stitched on smooth, neutral fabrics. Use options such as denim, canvas, twill, or linen for best results. 6.85" x 8.63" and 6.20" x 7.82"
5.81" x 7.32" and 4.85" x 6.11"
6.85" x 8.31" and 6.35" x 7.70"
5.85" x 7.10" and 4.85" x 5.89"
Keep warm this winter with an embroidered blanket scarf! The oversized scarf is a stylish way to accessorize for the cold weather, plus it can be worn in many different ways, too! 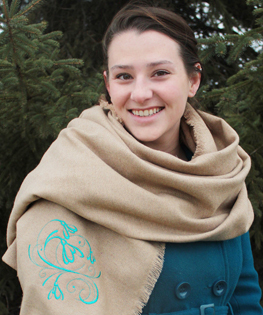 See how to make the blanket scarf in this tutorial, plus tips and tricks for styling, too! 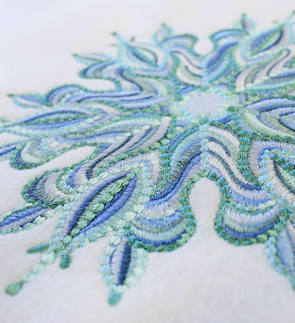 Get all of these ethereal Intricate Ink designs to add to quilts, blankets, winter wear, and more. They're all available in a design pack. 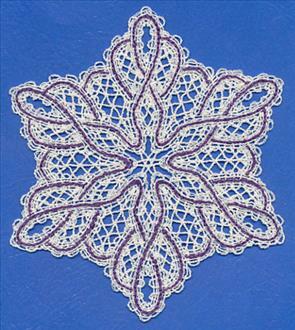 Add an elegant look to your winter projects with snowflake-shaped Battenburg lace designs! 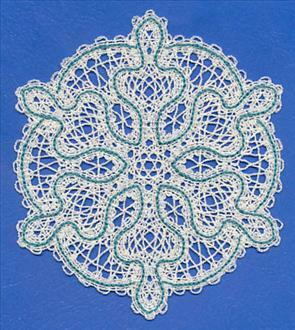 This sophisticated type of lace is specially digitized to create a hand-crocheted look, and is a gorgeous way to stitch for the snowy season. 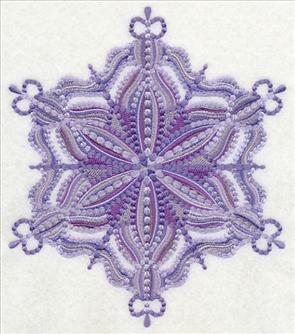 Get helpful tips on stabilizer, needle choice, and more about embroidering Battenburg lace in this free tutorial. 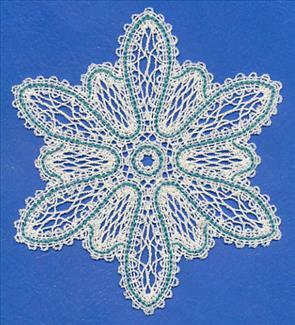 5.85" x 6.35" and 4.89" x 5.28" and 3.56" x 3.86"
Stitch a flurry of lace snowflakes on apparel, pillows, or even to bath towels! 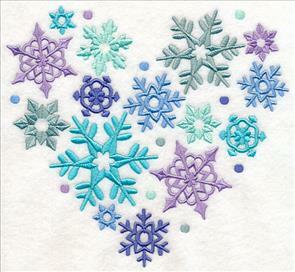 They're a gorgeous way to add frosty fun to any project! 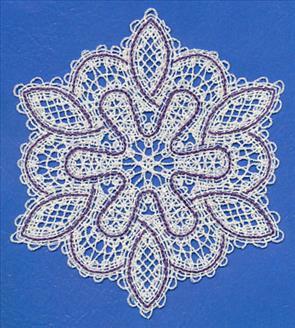 5.82" x 6.68" and 4.86" x 5.57" and 3.38" x 3.89"
Each of the Battenburg lace snowflakes are stitched in wintery colors, and would also make fabulous doilies, coasters, or sun catchers. 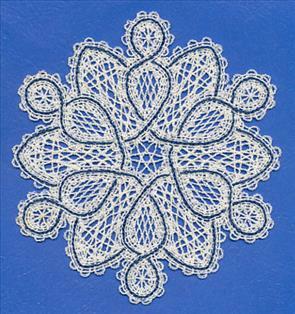 Follow these instructions to get tips about stitching Battenburg lace, and welcome winter into your home! 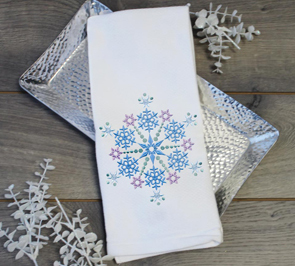 5.84" x 6.56" and 4.88" x 5.48" and 3.42" x 3.85"
Use all the snowflake designs at once to stitch a whole snowstorm for your home! 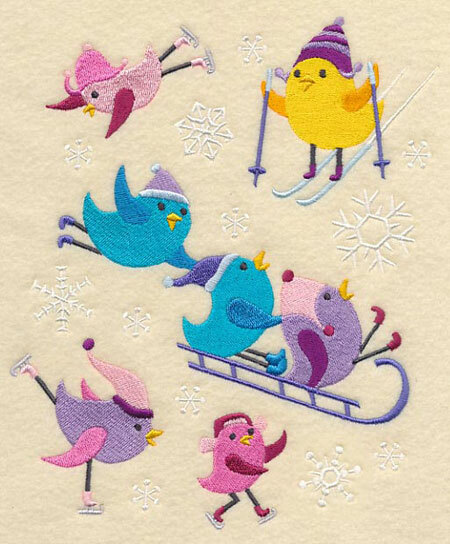 These chubby birds celebrate the arrival of winter by sledding, ice skating, and skiing across the freshly fallen snow. 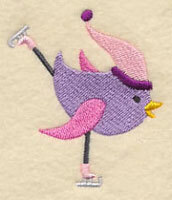 Stitch the too-cute tweets on a pillow, wall hanging, or tote bag. 6.85" x 8.18" and 6.36" x 7.59" and 5.86" x 7.00" and 4.86" x 5.80"
Each of the little birdies from the collage above have been separated out, and are available for individual purchase. Stitch on kids' gear, or as a highlight to a quilt. 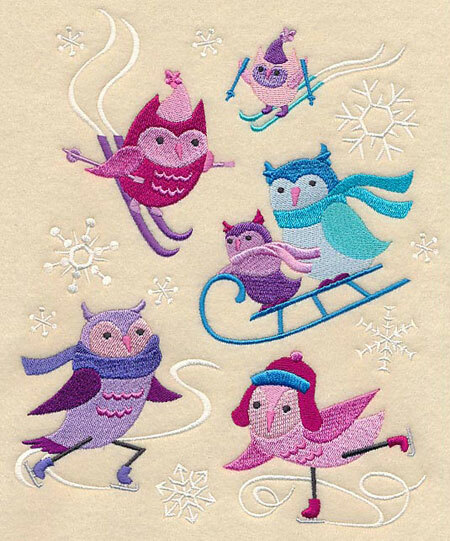 5.68" x 4.15" and 3.87" x 2.83"
1.43" x 1.88" and 1.02" x 1.34"
A happy bunch of adorable owls sled, skate, and ski their way across the wintery landscape. 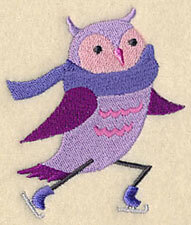 Each of the owls have been stitched in shades of blue, purple, and pink for a sweet, snowy look. 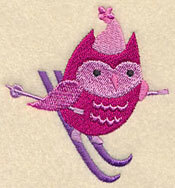 6.90" x 8.49" and 6.35" x 7.81" and 5.85" x 7.20" and 4.87" x 5.99"
Get each of the owls separately -- stitch in conjunction with the above design, or use singly on your next embroidery project. 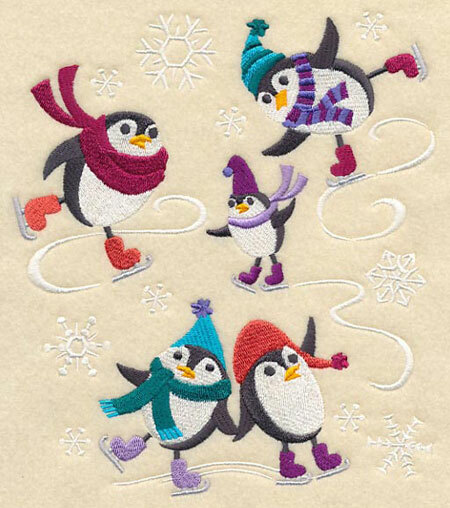 3.52" x 3.44" and 2.49" x 2.43"
3.18" x 2.88" and 2.24" x 2.04"
A rambunctious group of penguins indulge in their favorite winter sports in this cheerful collage. 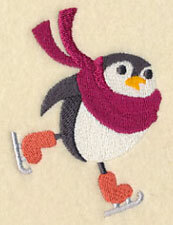 Each of the penguins are wrapped up in scarves and hats to ward off winter's chill. 6.85" x 7.73" and 5.88" x 6.64" and 4.86" x 5.49"
These penguins are also available for sale separately, and are sweet additions to bath towels, sweaters, and pillows. 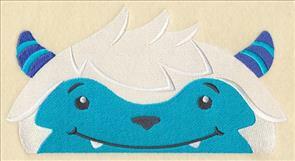 2.98" x 2.74" and 2.12" x 1.95"
4.06" x 3.15" and 2.89" x 2.24"
A charming yeti peeks from the edge of this design! 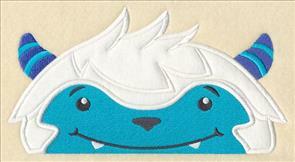 Carol requested the too-cute monster, and we were happy to add it to our existing collection of on-the-edge designs. 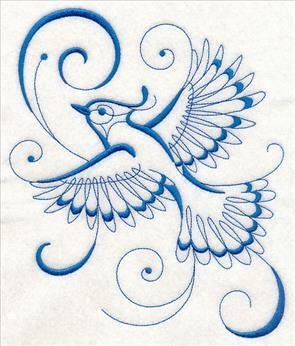 These designs have flat bottoms so they can peek from the edges of towels and quilt blocks. See placement tips in this tutorial -- and this video on YouTube! 8.53" x 4.60" and 6.88" x 3.71" and 3.90" x 2.13"